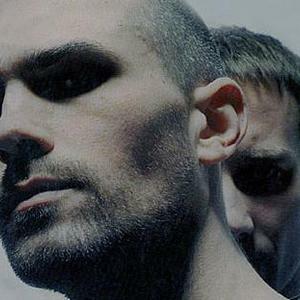 Autechre is an English electronic music group consisting of Rob Brown and Sean Booth, both natives of Rochdale (in Greater Manchester, England). They are one of the most prominent acts signed with Warp Records, a label known for its pioneering electronic artists. Booth and Brown formed the group in 1987 while they were both living in Rochdale, United Kingdom. They began by making and trading electro and hip-hop mixtapes, but gradually collected some cheap equipment (most notably a Casio SK-1 Sampler) and moved on to their own compositions. Booth and Brown formed the group in 1987 while they were both living in Rochdale, United Kingdom. They began by making and trading electro and hip-hop mixtapes, but gradually collected some cheap equipment (most notably a Casio SK-1 Sampler) and moved on to their own compositions. By the time Warp Records released their debut, Incunabula, they were employing a variety of electronic instruments to create their evolving style. Booth and Brown have explained that the name Autechre can be pronounced in any way anyone sees fit. They pronounce it "aw-TEK-er" (IPA) /? ?t?k ?/. Autechre helped initiate the music festival All Tomorrow's Parties in 2000, and were responsible for curating the 2003 festival. Autechre utilize a wide array of analog synths in their production as well as analog and digital drum machines and samplers. They have also made extensive use of a variety of computer based sequencers, softsynths, and other applications, such as Max/MSP.